Still not sure if you're ready to commit to cloth diapers? Then why not try cloth diapers before you buy them? 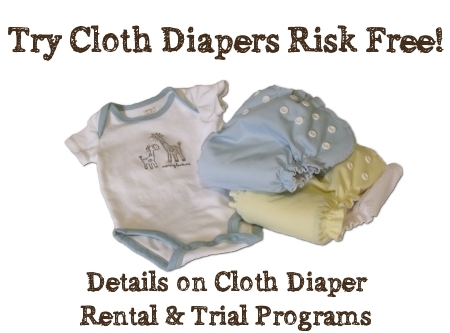 This article provides information on cloth diaper trial programs so you can try before you buy. 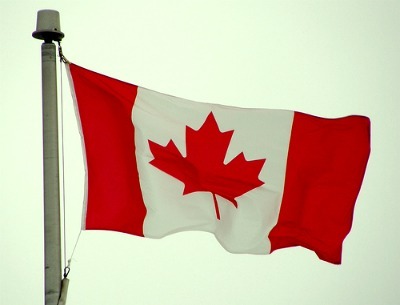 Why Trials and Rental Programs? Buying cloth diapers can seem like a huge step - especially if you're just not sure if you're ready to commit! Cloth diaper trial and rental programs are a great way to test-drive cloth diapers without a large financial commitment.If you decide you don't like them, you can return them for store credit or a full refund. And if you do like them, you can purchase them, usually for a discount! Below are some of the cloth diaper trial and rental programs available from popular US and Canadian cloth diaper retailers! 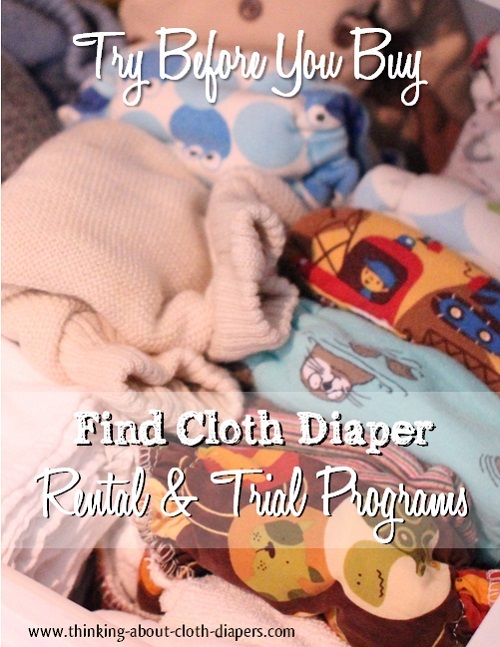 Try any cloth diaper, training pants, or cover - except for sale and used items. If you don't like it, you get a store credit for the FULL value of the product! You're only responsible for the shipping costs both ways. 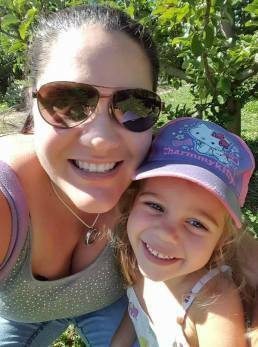 If you decide you don't like cloth diapering, your store credit can be used toward baby carriers, shoes, toys, and lots of other baby accessories. Buy them, try them, wash them - and return them within 30 days if you are not completely satisfied! You only have to pay for the shipping. You pick the style of diaper, how many you want, the rental length, and gender preferences. All rental diapers are brand new! You get your deposit back as a full refund on your credit card, but if you choose to take store credit instead, you'll get 10% more back! Plus, save 10% on diapering accessories such as wet bags, detergent, rash creams and more at the time you rent your diapers. Packages come with sample cloth diaper friendly rash cream and detergents. Gro-Via recently launched a trial offer which includes a diaper cover, one reusable insert, and 3 bio-soaker inserts - all for $20, with free shipping included! If you're interested in trying out Gro-Via's popular hybrid diaper, now's the time! This is a fantastic deal, since the package includes more than $25 worth of products, and it wouldn't normally ship for free either! Check out this offer (and all of Gro-Via's diapers) here. When newborns go through upwards of 12 diapers a day, disposables can put a large dent in your budget quickly. With Nature Bumz' newborn cloth diaper rental program, you can save money (less than disposables, plus you don't have to buy a set of newborn cloth diapers!) and try out different styles of diapers before you buy. All diapers will be new or gently used newborn diapers that fit from 5 to 14 lbs. Any used diapers will be sanitized, pre-washed and totally ready to use. You can even ask them to prep new diapers for you, too! Comes with sample detergent. You're even forgiven for normal "newborn" staining, since that's expected! The package includes pre-folds, fitteds, Rumparooz and Bummis covers, pockets, Lil Joeys AIOs, FuzziBunz pockets, and even some one-size diapers, plus snappies, a wet bag, and lots more! You choose how long you need the diapers for. Program cost is $39.97 per week rental fee, plus a deposit which is returned to you in full after the diapers are returned. When you return the package, you'll get $25 in store credit for each week of the rental program. 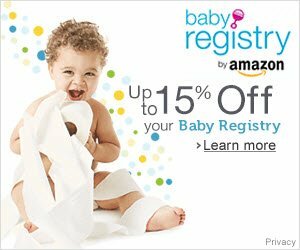 That means, if you take the store credit, you're really only paying $14.97 per week - that's less than half the price of newborn disposable diapers! Wow! If you don't want to rent, Lagoon Baby lets you custom-build sampler packs for Newborn, Pocket and All-in-One diapers. Create your own from a large selection of brands, and save 5-10% off retail prices. Please note: This isn't a rental program - diapers are non-returnable and non-refundable once they've been used. Disclosure: This article contains affiliate links. 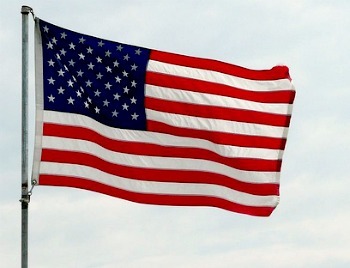 I am disclosing this in accordance with the Federal Trade Commission’s 16 CFR, Part 255: “Guides Concerning the Use of Endorsements and Testimonials in Advertising.” For more information, see our Disclaimer and Copyright. Looking for more information about cloth diapers? 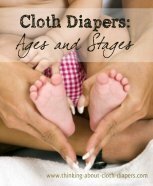 Visit our How to Use Cloth Diapers series for other helpful articles!